This post is sponsored by BookShark. All opinions are my own. 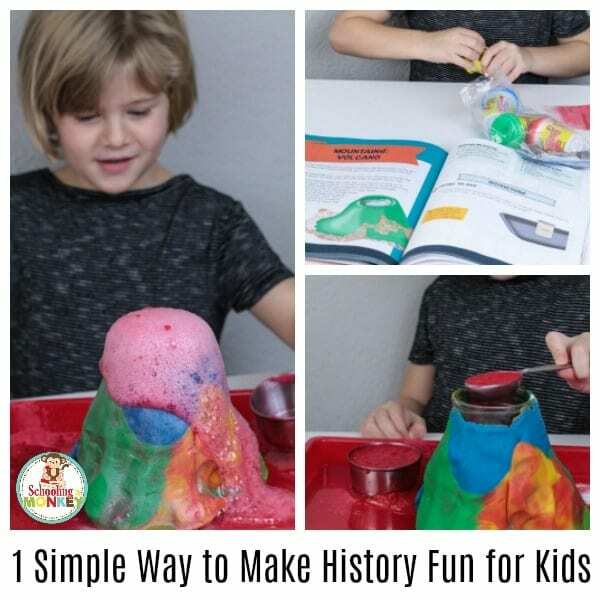 We’re huge fans of science experiments for kids and STEM activities at our house, but one subject that we always have struggled with is history. “It’s boring,” my kids claim. I usually agree with them. Reading big chunks of text about people who died hundreds of years ago usually doesn’t interest me. 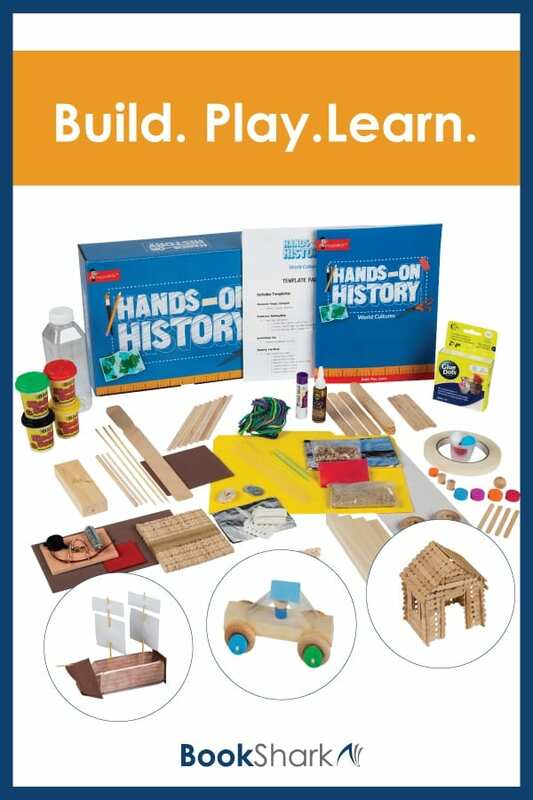 But when BookShark approached me asking to try out their new Hands-on History activity set I was intrigued. Was there a way to really bring history to life and make history fun for kids? What is my one way to make history fun for kids? Make it hands-on history! And the BookShark Hands-On History box makes it so easy. Since it’s summer, and we’re not following a formal history program at the moment, I let my 5-year-old daughter pick what project to make. She chose to make the volcano. 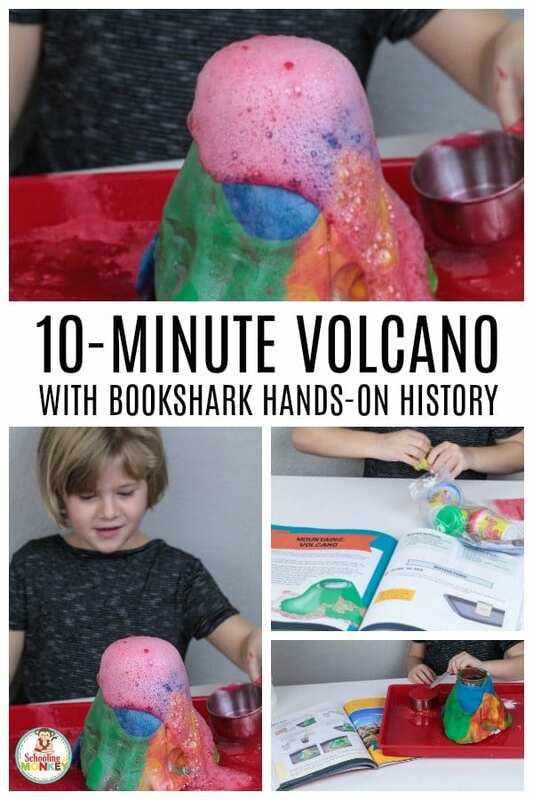 We’ve made a lot of volcanoes over the years (including a play dough volcano and a slime volcano), but the project never looses its fascination and it was fun to talk about the history of volcanoes at the same time as discussing the science. The project instructions suggested using a can for the volcano base, but since we’re such big fans of science in jars, we used a jar as our base. My daughter especially loved the rich red color that the tempera paint added to the volcano. 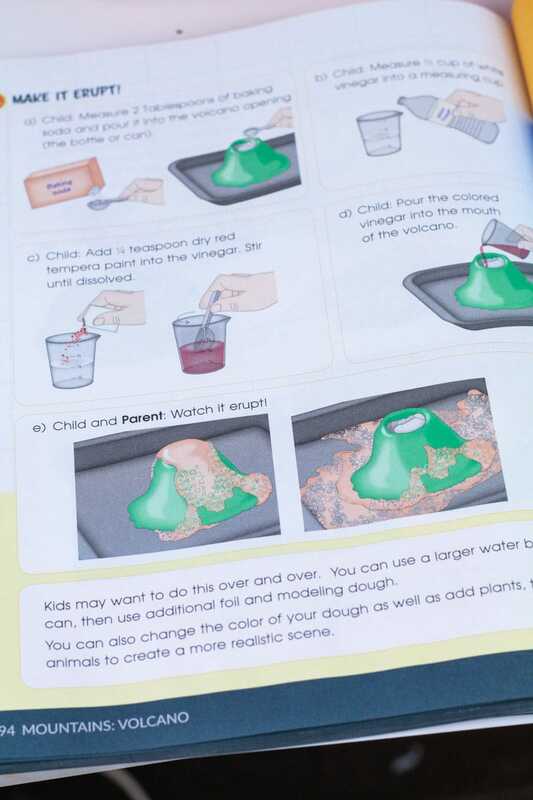 One variation I would make is to add a bit of dish soap to the reaction. The dish soap catches the gas as it escapes, and makes the eruption last longer. 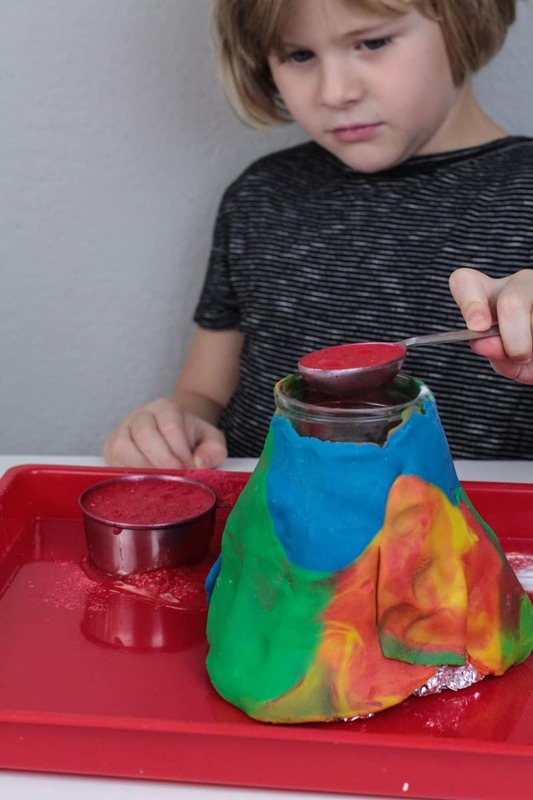 Watch our volcano in action! 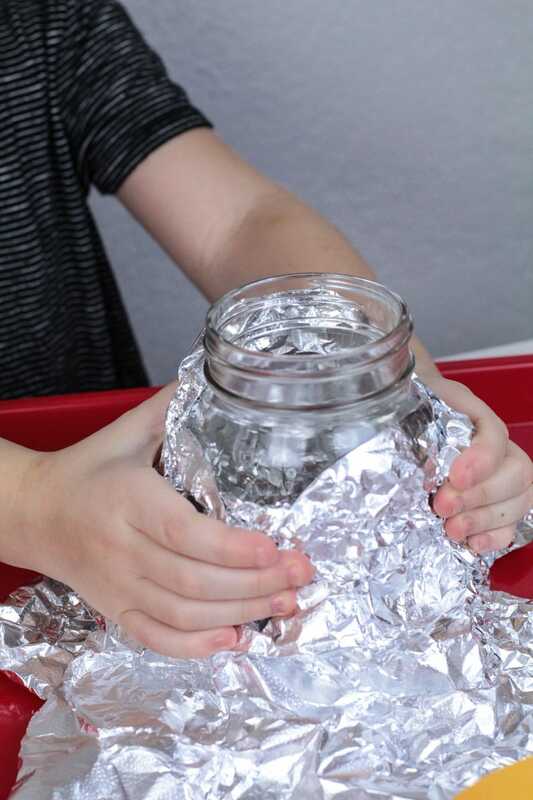 In working with kids for many years, I’ve learned a few tips and tricks for making hands-on projects easier. Use these tips when completing your projects and it will be easy to make history fun. You should know how to do the project ahead of time, as well as the history tie-in. Kids will start to pick things apart if you’re spending time reading directions when they are there ready to do the project. An ounce of prevention is worth a pound of cure, as they say. It sometimes hurts my type A soul to see a project not go exactly as written, but kids will get more out of it if they can follow along and create on their own. 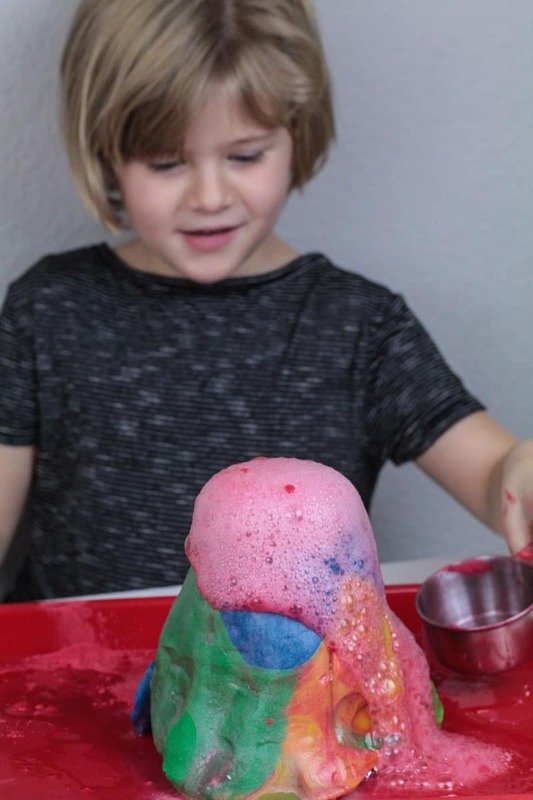 In our case, our volcano was every color of the rainbow, and not quite natural-shaped, but my daughter was proud to have made it all on her own. Things get a bit messy when kids take control, but they learn a lot more that way. These Hands-On History projects are short (most take under 30 minutes), but if you’re rushing through the project, the kids will be able to tell. So make sure you allot plenty of time to complete the project, discuss the history, and analyze the results. 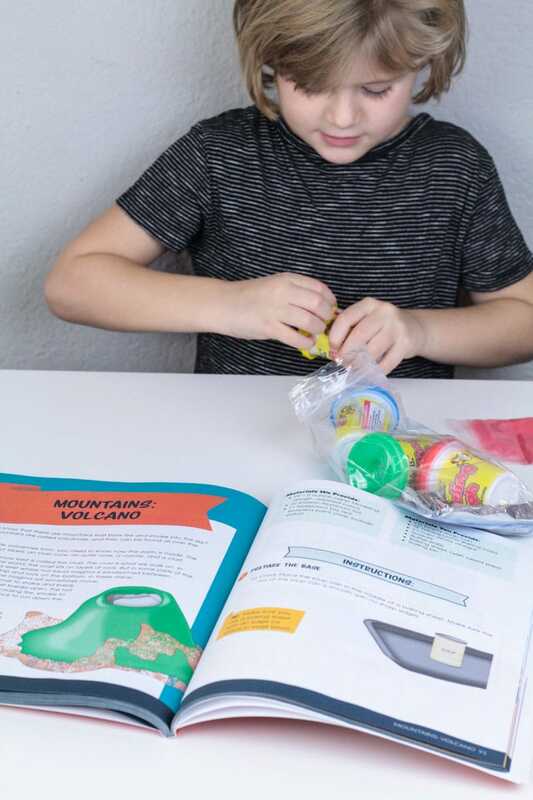 I highly recommend the BookShark Hands-on History Kit to anyone. It’s great for using alongside their existing Kindergarten history program, but there are tons of other uses, too! Instead of movie night, have a weekly history night with the whole family! 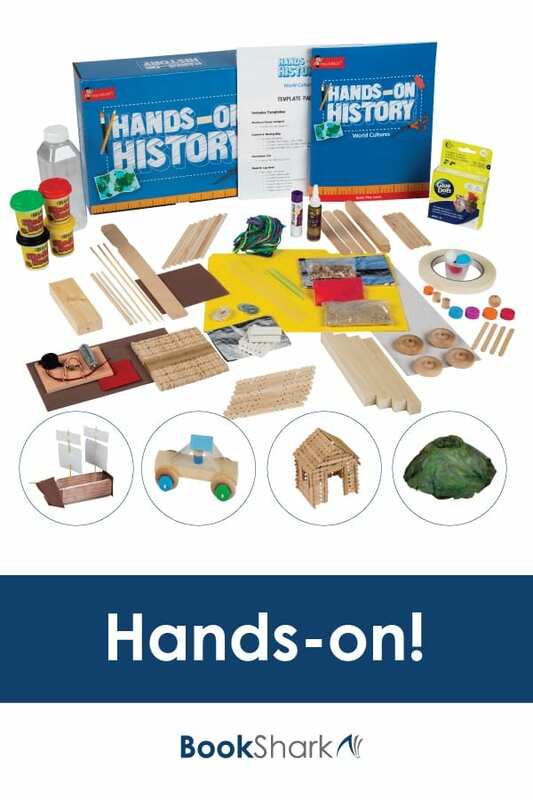 Each history kit is $39.99 and includes supplies for 9 historical projects, spanning everything from ancient weaving to cars. I hope BookShark makes more of these kits, as we will definitely want to make more projects! 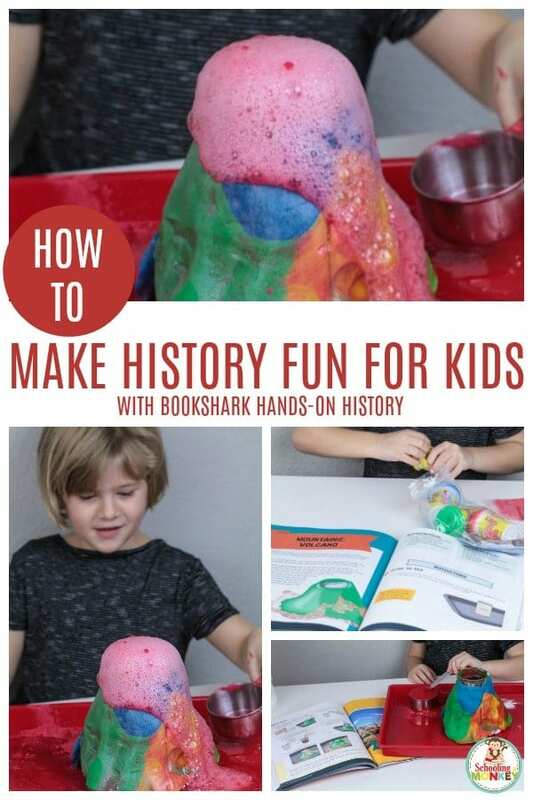 Click here to get your own BookShark Hands-on History Kit!